Which is the most secure browser around? 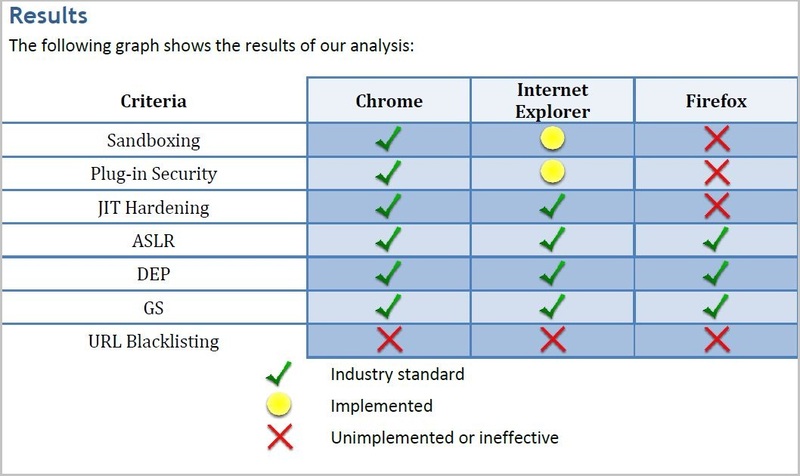 According to a newly released study by Accuvant, that’s Google’s Chrome. New study claims that Chrome is the most secure browser. From the cellular phone to the desktop, the web browser has become a ubiquitous piece of software in modern computing devices. These same browsers have become increasingly complex over the years, not only parsing plaintext and HTML, but images, videos and other complex protocols and file formats. Modern complexities have brought along security vulnerabilities, which in turn attracted malware authors and criminals to exploit the vulnerabilities and compromise end-user systems. Google, Inc. develops the Google Chrome web browser. Google released the first stable version of Chrome on December 11, 2008. Chrome uses the Chromium interface for rendering, the Web Kit layout engine and the V8 Java Script engine. The components of Chrome are distributed under various open source licenses. Google Chrome versions 12 (12.0.724.122) and 13 (13.0.782.218) was evaluated in this project. Microsoft develops the Internet Explorer web browser. Microsoft released the first version of Internet Explorer on August 16, 1995. Internet Explorer is installed by default in most current versions of Microsoft Windows, and components of Internet Explorer are inseparable from the underlying operating system. Microsoft Internet Explorer and its components are closed source applications. Internet Explorer 9 (9.0.8112.16421) was evaluated in this project. The amount of time it takes for a vendor to go from vulnerability awareness to a fix can be seen as a security commitment indicator. However, the reality is not so simple. Internet Explorer has such a deep integration with the Windows operating system that a change in Internet Explorer can have repercussions throughout a much larger code base. In short, the average time to patch is less indicative of a commitment to patch, as it is of complications with providing a good patch. It is clear that Microsoft’s average time to patch is the slowest. To be fair, this information was based on a much smaller sample set than Firefox and Chrome. Even worse, it may be possible that the advisories for these vulnerabilities had timeline information only because of the fact that they had taken so long to patch. Firefox comes in second, taking an average of 50 days less than Microsoft to issue a patch. The browser with the fastest average time to patch is Chrome. With an average of 53 days to patch vulnerabilities, they are nearly three times faster than Firefox and slightly more than four times faster than Microsoft. The stated intent of URL blacklisting services is to protect a user from him or herself. When a link is clicked inadvertently, via a phishing email or other un-trusted source, the browser warns the user “are you sure?” and displays a warning that the site might be unsafe based on a list of unsafe URLs regularly updated as new malware sites go live and are taken offline. Microsoft’s URL Reporting Service (from here forward, “URS”), formerly “Phishing Filter”, referred to in the browser application as “Smart Screen Filter”, was the first to provide this feature, with Google’s Safe Browsing List (“SBL”) following suit later, utilized initially by Mozilla Firefox, and now by Chrome as well as Safari. A sandbox is a mechanism of isolating objects/threads/processes from each other in an attempt to control access to various resources on a system. Address Space Layout Randomization (ASLR) attempts to make it harder for attackers to answer the question ‘where do I go’. By taking away the assumption of known locations (addresses), the process implementing ASLR makes it much more difficult for an attacker to use well-known addresses as exploitation primitives. One key weakness of ASLR is the ability for one module to ruin it for the rest, a weak link in an overall strong chain. Data Execution Prevention (DEP) is one of the first steps in compromising a system is achieving arbitrary code execution, the ability run code provided by the attacker. During traditional exploitation scenarios, this is achieved by providing the compromised application with shell code, data furnished by the attacker to be run as code. Data Execution Prevention (DEP) addresses the problem of having data run as code directly. DEP establishes rules that state: “Only certain regions of memory in which actual code resides may execute code. Safeguard the other areas by stating that they are non-executable”. Stack Cookies (/GS) are the common programming errors, archaic APIs and trusted user input, stack-based buffer overflows have been leveraged to gain code execution on Intel-based architecture. 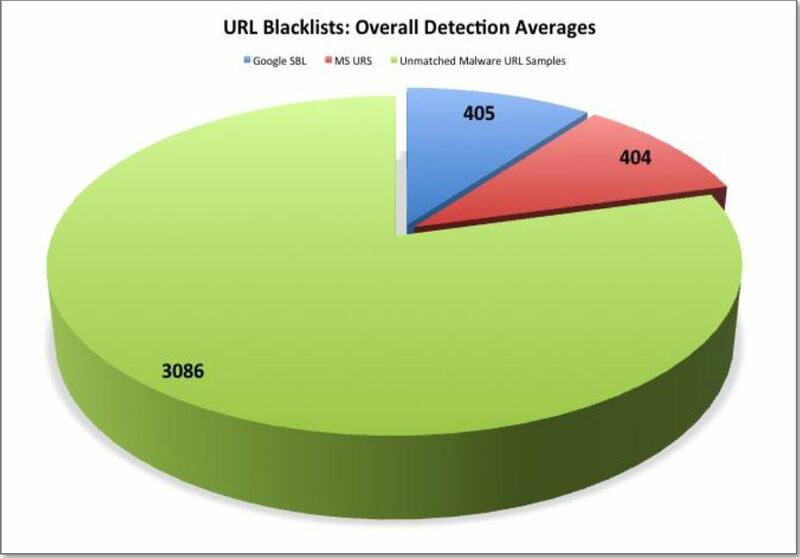 The URL blacklistingservices offered by all three browsers will stop fewer attacks than will go undetected. 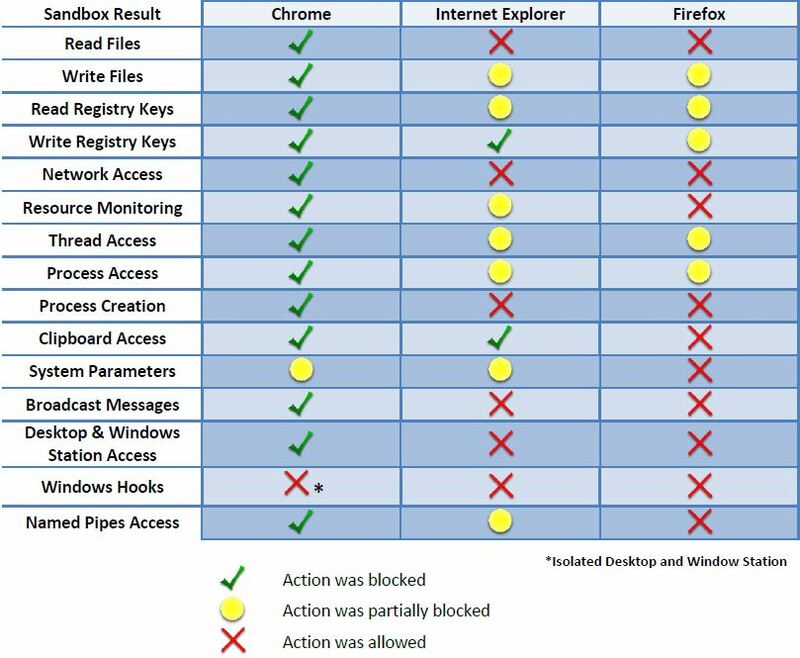 Both Google Chrome and Microsoft Internet Explorer implement state-of-the-art anti-exploitation technologies, but Mozilla Firefox lags behind without JIT hardening. 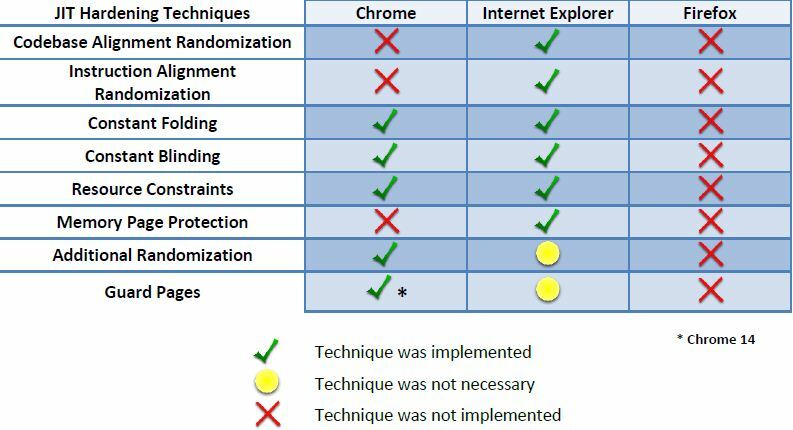 While both Google Chrome and Microsoft Internet Explorer implement the same set of anti-exploitation technologies, Google Chrome’s plug-in security and sand-boxing architectures are implemented in a more thorough and comprehensive manner. In conclusion, overall browser security needs to be considered when attempting to compare browsers from a security standpoint. Drawing conclusions based solely on one category of protection, such as blacklisted URL statistics, doesn’t give a valid perspective on which browser is most secure. Instead, they should be considered in the context of other mechanisms such as anti-exploitation technologies and malicious plug-in protection, which play a more important role in protecting end users from exploits and persistent malware. By these measures, Google Chrome to be the web browser that is most secured against attack.